Today we’d like to introduce you to Betty Kozlowski. Thanks for sharing your story with us Betty. So, let’s start at the beginning and we can move on from there. Roseland began business back in 1949 and moved to beautiful downtown Naperville over 30 years ago in 1983. From the start, we’ve been family owned and operated and have set ourselves apart by carrying the highest quality products, employing interior design experts and delivering outstanding customer service. The owner personally overseas every project and makes sure the home fashions we provide are perfectly crafted and installed, every time. Our business relies on referrals and repeat business, and so we’ve maintained this customer focus in order to grow so steadily over the many years we’ve been in business! The secret to our success is simple. We find the best products which will provide a real upgrade to our client’s home, we employ interior designers who can provide design expertise (not just sell products) and we follow through on every single promise we make. We’ve grown because customers return to us, again and again, and recommend us to their family and friends! Interior design is a constantly changing arena. The challenge is to never sit back and rest! We work to stay up to date on the latest trends in window treatments, reupholstery and other home fashions. Our customers look to us to always know “what’s new”, “what’s in” and what will last. It’s our never-ending job to stay ahead of the trends, so that we can be the true design expert for our clients. Roseland Draperies – what should we know? What do you guys do best? What sets you apart from the competition? 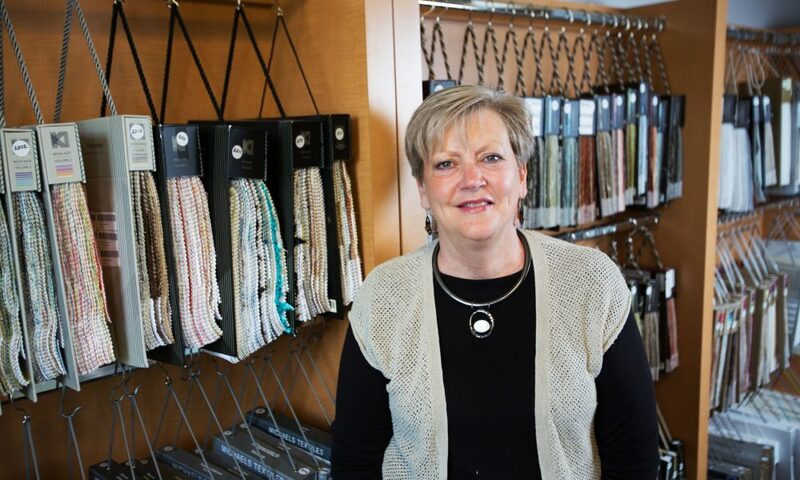 Since 1949, Roseland Draperies has helped thousands of satisfied customers make their homes and businesses more beautiful. We provide stunning window treatments, expert reupholstery, luxurious bedding, table linens and other home fashions. We specialize in window treatments, but have found over the years that custom work often has to extend beyond the window. We can tie it all together by helping customers with many rooms in the home, and many areas of the room. When a customer invests in stunning window treatments, they love to be able to easily add matching pillows to a sofa or reupholster an ottoman in the exact same fabric. Being a “one stop shop” is what also sets Roseland apart! Roseland has always considered “success” to be a truly happy customer. We follow up on every order, every time, to make sure the customer is completely satisfied. We consider the highest compliment to be when a customer recommends us to a family member or friend. Since we’ve been in business so long, we have many customers that have worked with us on multiple houses and through multiple generations! Photographs courtesy of Roseland Draperies, Lafayette Interior Fashions, Fabricut, Norman Window Fashions and Horizons Window Fashions.